As we approach the end of the year, I want to take this opportunity to thank everyone for their support, feedback and suggestions. To continue to give back where it matters I have some exciting news and developments for the year to come. I know a lot of you have started this daunting and lengthy process and it has always been a goal of mine to make it as easy as it can be without having to pay a migration agent a king’s ransom for help. Since the launch of the book, feedback has come through thick and strong and for that I thank you. Without your updates, feedback and suggestions I wouldn’t be able to tell if what I do is helpful or not. So let me just say this: I hear you. I see you. And I know your pains. I’ll write about how to submit documents for the second part of the application – the permanent residency stage. I’ll include interview tips, documents to submit etc all in the same style as my book. It’d be a walkthrough of this stage of processing and how to succeed in it. It’s an uncomfortable conversation to have but it’s also a situation that is increasingly becoming common place and can leave a lot of people in vulnerable situations. I’ll be writing about what to do when your sponsor cancels their sponsorship. There are certain circumstances that you can still remain in Australia and apply for permanent residency even when your sponsor has taken back their sponsorship. On the other hand, I’ll also go through how a sponsor can cancel their sponsorship if the relationship has broken down or the relationship was entered into under false pretences. I’ll go through the steps and what needs to be done as well as the results and consequences of this. And finally I’ll also talk about what happens when your visa is cancelled or refused. A few readers have written in about children and what needs to be done with them. I purposely left this out of the original book because in my experience it hasn’t been the majority of the cases and I wanted to keep the book on point and relevant to the most amount of people. But I am encountering more and more consultations on what needs to be done when there are children involved. Either when one partner has children from another relationship or when children are born abroad and will need to be added to the application. All Your Partner Visa Questions Answered – a FAQ I put together to give you the confidence and courage to take that first step in doing your own partner visa application. Important questions are answered regarding whether you really can do it yourself. Frustration when asking for advice – a few examples of the unhelpful responses provided by migration agents when you first approach them. Good indicator of how to spot a bad one and the general murkiness of the Australian migration industry. A Review Of Popular Australian Visa Forums And What To Look For – alternative sources for help, comfort, assurance and sanity check that no you’re not crazy for wanting to go through this process. Main takeaway from this is that although migration agents frequent the forums, they have by no means, given you immigration advice. Take their advice with a grain of salt and NEVER ever pay them for forum ‘advice’. How To Choose The Best Migration Agent – my book has caused a bit of a problem for other migration agents because for every book sold means a migration agent loses on a juicy fee for doing jack all. Main take away here is: Immigration lawyers can be migration agents but migration agents cannot be immigration lawyers unless they go to law school. But what migration agent wants to go to 6 years of law school when they can take your money now with only one-year of schooling? Relationship timeline worksheet – use this to help both of you note down the important events and dates of your relationship. This will be the basis of how you write your statutory declarations and can also be useful to give a copy of it to your friends and family to help them fill in Form 888. Cover letter template – this post goes through whether they’re necessary and also an example cover letter with a blank template to write your own. Attach it to your partner visa application. Or not. It’s up to you. Video course – sign up to be notified of when I release this. I’ve been talking about it for 6 months now but I promise it’d be worth the wait. I’m terrible with video editing but I’ve put together something that will be super useful for you guys. Going to be dropping this in the first few months of 2017 so keep yourself updated by signing up! Kindle short guide: How To Get An Australian Partner Visa In 90 Days: A Preparation Roadmap – a handy guide on how to prepare for getting an Australian partner visa. If you already have my book then there’s no need to get this one. This kindle ebook was written for all the procrastinators out there that need to be led and told when to do things. Getting To ‘Visa Granted’ The First Time – Avoiding Incomplete Applications – incompleteness is the enemy of all visa applications BUT there can be many reasons why you would start an application and lodge it with things missing. Sometimes it’s even beneficial but mostly it should be avoided and I lay out some reasons and simple fixes to incomplete applications. Partner Visa Costs Around The World – my very own infographic that lays out the cost of partner visa applications around the world and their processing times. See how Australia compares and maybe consider marrying another person. Jokes! In all seriousness, it’s appalling how much it costs and how long it takes for Australians to bring their loved ones home. How much does an Australian partner visa cost? All the expected (and unexpected) fees – I go through all the expected and unexpected fees associated with Australian partner visas. This will help you budget for how much you’ll need before beginning this journey. It always helps to know what you’re about to get into and how deep you’ll go in order to reach that light at the end of tunnel. How to find a NAATI certified translator for migration purposes – Aunt Gertrude proficient in 4 languages cannot do your document translations unless she’s a certified translator. Here’s how to choose the right translator for the purpose. If your documents are properly translated, you are risking your application. Medicare and Partner Visas – Can I Get It? – for sure! If you’re in Australia and you satisfy the criteria for one. Read the post on how to get this done. It’s another benefit of applying onshore and it’s good to be prepared before starting your visa process. Speeding Up Your Partner Visa Application Processing Time – the holy grail for all visa applicants: speeding up the processing time! Here are common obstacles and how to fix them to speed up the whole process. Thursday Answers are where I answer questions from the readers and provide insights into different situations. Can I apply if I’ve been in a relationship for 11 months? Can we count time spent travelling towards the 12 month rule? I haven’t been able to live with her for the full 12 months. I think if we add it all up we’ve been living together for 6 months. Will I still be able to bring my partner to Australia on a partner visa? What is the difference between statutory declarations and Form 888? – learn the difference and choose the one you want to use. Statutory declarations and form 888 are both accepted but there are pros and cons of each. My book goes through how to write statutory declarations and provides samples of statutory declarations and I explain why in this post. Because I wasn’t a resident, I couldn’t be added to the lease or for joint bank accounts. Everything is in his name! How do we prove that we lived together and share finances? What if I have a criminal record and will it affect my Australian partner visa application?’ – I layout a golden rule here and illustrate this question with a scenario. I’m confused about whether I can come to Australia on a tourist visa and then apply for a partner visa. Ready? Set? GO!….. Practice first. 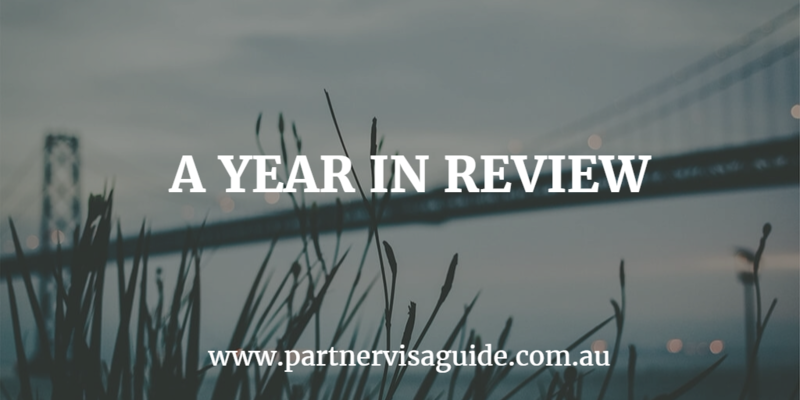 Due to popular demand, I started to provide partner visa application reviews. My firm does document review for our clients for a hefty fee (there’s a lot more paperwork for business and corporate migration) but for my readers I’ve heavily discounted the fee. Statutory declaration review – I also provide a review service of just your statutory declarations. Some couples, particularly those who can’t write in English to a literary level, will often find difficulties in expressing themselves adequately. You may struggle on expressing your feelings at the same time remembering to write enough to satisfy the criteria. This is where I can review your statutory declarations and tell you what’s missing or if it’s covering all the bases. You can purchase the statutory declaration review with the book here or you can purchase them after the fact. 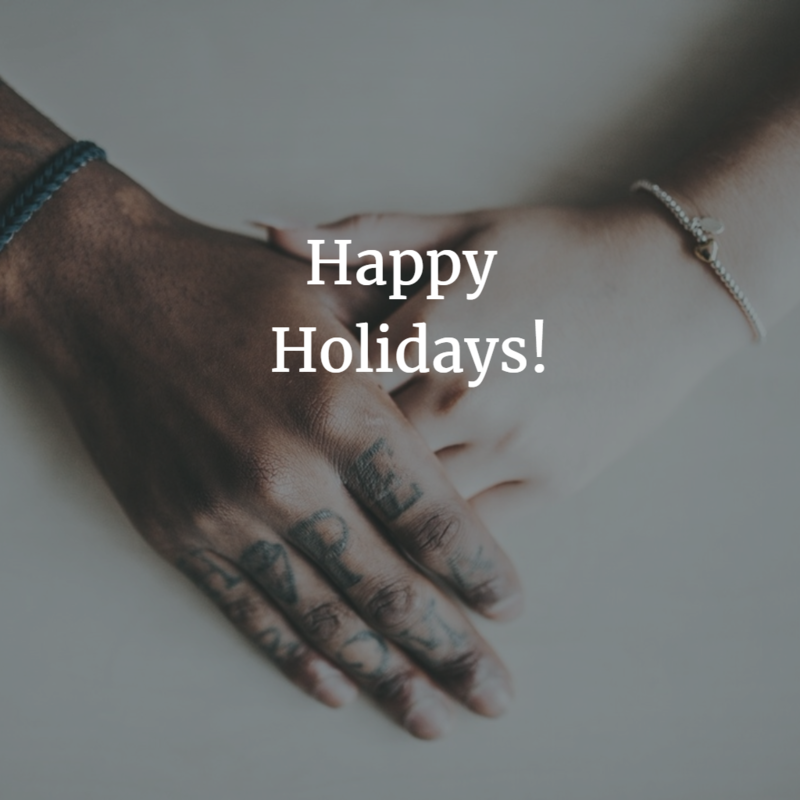 …and as always, thank you and have a happy holidays! 2017 will be the year you and your loved ones will be reunited in Australia. Thank you so much for taking the time to put all of this information together. I can’t tell you how much my partner and I appreciate it as we start to prepare our visa application. I wrote a 135-page book on how to do your own Australian partner visas. The Australian Partner Visa Guide is a plain English handbook on doing your own Australian partner visa applications. The book is a walkthrough of the immigration process and includes partner visa checklists, worksheets, templates and sample statutory declarations as well as sample completed application forms. Love shouldn't cost you everything, don't let the Australian Government hold your love to ransom.